Sui is a young teacher, but has also known some of her students since they were all children. One of those students, Amano, is in love with her. Their story is slowly told through their two perspectives and the perspectives of the small group of people in their daily lives. Hino Maruka had always wanted to be a detective, but she works a police box. She was raised around lots of cats and dogs, and being around them has sharpened her sense of smell to a superhuman ability--she can even smell feelings. One day, she is pulled in to help with a hostage case, and her sense of smell actually ends up helping her to resolve the situation. After this, it looks like her dream of becoming a detective will come true. There are many more cases ahead of her! Tachibana Tatsuya's father passed away, and he and his mother have a hard time making ends meet. To help with their situation, he chose to become a part-time worker instead of attending high school. From his father, Tatsuya had developed a love of basketball. When he isn't working, Tatsuya plays basketball with his two friends near the Kamakura shore. They earn money by playing other people in games of 3-on-3 for cash. One day, Tatsuya's life changes forever when he meets an older guy named TJ. TJ is interested in Tatsuya's style, and he introduces their three-person team to the world of street ball. 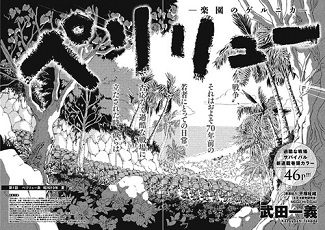 This historical manga describes the daily life of the Japanese soldiers during the Battle of Peleliu in World War 2 (battle details from Wikipedia), a high-casualty, months-long battle. The main character is Tamaru, a soldier who dreams of living and returning home to become a manga artist. He initially sees the island as a wild paradise, and hopes to one day write a story set in it. Many of his friends and comrades, though, are prepared for the more realistic scenario--that they will not be leaving the island alive. Peleliu has innocent moe-like character designs that make a shocking juxtaposition with the subject matter. It is an extremely depressing story, based on one of the more brutal battles of the Pacific Theater in WW2. "DNA Wa Oshiete Kudasai," couldn't be more different. 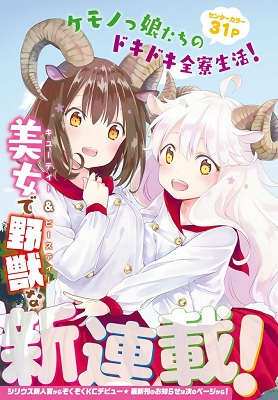 The story seems to be mostly an excuse to have moe girls with animal ears and tails, who occasionally rip up their school uniforms by transforming into animals. It is pretty cute, though, if you're in the mood for that sort of story! Dragon Jam is a good one for fans of sports manga, and it has a lot of action so far. Are ga ii kore ga ii is more of a low key story, and a little slow for my taste. For Deka Girl, it's interesting to see how her abilities will help her solve cases. 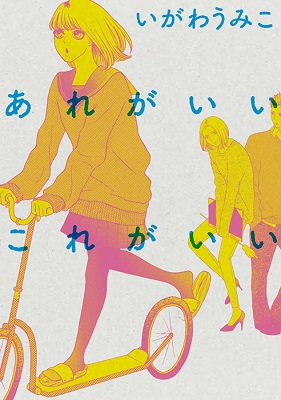 Are ga Ii Kore ga Ii - If you're in the mood for love, or just like romantic stories set in a school setting, then you should check this manga out. Bocchi Album - If you like reading about detective/police-solving type manga, then this one is for you. 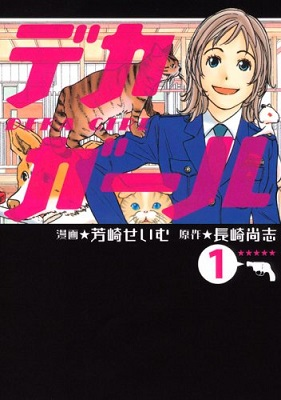 DNA wa Oshiete Kurenai - Animalium no Otome-tachi - If you like transforming girls into animals and vice versa with a bit of ecchiness thrown in, then take a peek at this manga. 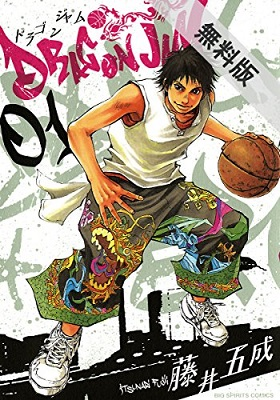 Dragon Jam - If you like basketball, but want a more grittier version of it, then take a look at this manga instead. Peleliu - Rakuen no Guernica - However, if you are in the mood for a historical manga, and want to learn some history, then this is up your alley.